Are you looking to work for a growing business in the internet industry? The AsiaTees Family currently has career opportunities in our fabulous locations of Hong Kong, China, Philippines and the United States. Please check out the AsiaTees About Us page before applying! They are the heart and soul of our culture and central to how we do business. If you think our values fit you too - please take a look at our openings, find the one that best fit your skills, experience and interest! Why consider opportunities with us? We are a up and coming young company with lots of personal growth areas available. And... we're hiring a few staff right now, and looking for smart, forward-thinking problem solvers to join our fun and shameless team. 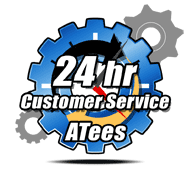 It is easy & convenient to travel to and from ATees Hobbies. We have two shuttle bus services to pickup and dropoff staff at nearby MTR stations, located at Kam Sheung Road and Sheung Shui MTR stations. Getting to ATees office is fast and convenient. Don't let the Sheung Shui location intimidate you. For example, coming to work from Tsuen Mun to ATees takes 25 minutes and from Central to ATees office takes 50 minutes. ATees also provides transportation during lunch hour to Sheung Shui. The following table shows the travel times to and from different areas of Hong Kong.